California sounds like a really interesting place, religiously speaking that is. There are 10,079,310 Catholics, the largest Christian group, 529,575 Mormons, 471,119 Baptists and 994,000 Jews. In fact Los Angeles has the second largest Jewish population in the US outside New York. There are about a million Muslims in California, 100,000 in San Diego alone, more than in any other state. 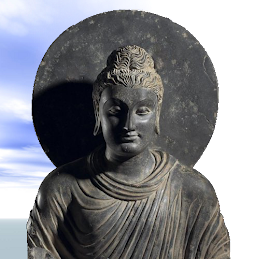 Forty percent of all American Buddhists live in California. The Los Angeles Metropolitan Area has become unique in the Buddhist world as the only place where representative organizations of every major school of Buddhism can be found in a single urban center. And the City of Ten Thousand Buddhas in northern California and the His Lai Temple in southern California are two of the largest Buddhist temples in the Western Hemisphere. There are many Asian Americans living in the California state, probably that would account for the 40% of all American Buddhists living there. 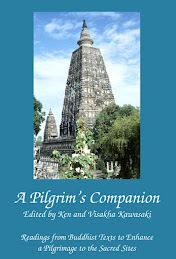 It's good to know that there are Buddhist communities and groups in the Western countries. and there are no shortage of vegetarian restaurants out there. @Celestial: Not just Asians. The "Beat" generation is from California and made Buddhism popular among Americans. 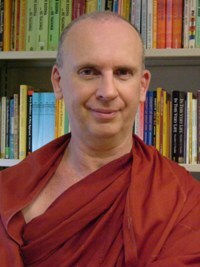 Many of the California Buddhists are American converts. @John: It’s true that many Californian Buddhists are converts, and I’m glad you made the point. But we have more residents of Asian heritage than any other state in the union—and my hunch is that’s the real reason why we’re the most Buddhist state (in terms of raw numbers). Yes, I agree with Mchean; Bhante come on over as fast as you can! My wife and I recently met with Ayya Phalanyani (German born nun living in Thailand). She is visiting the U.S. and staying in Los Angeles. Dear Mchean and David, I’d love to visit the US, especially to meet some of those ‘brave’ who make it their home. Two problems prevent it, at least at present – money and time. Being a ‘bad’ monk I ‘handle’ money. Problem is I don’t have any to ‘handle’. Being a relatively active monk my own practice, writing, counselling and running a centre takes up most of my time. That's what happens when you distribute so many Dhamma books at no cost, haha. There is not much money to make when following the spirit of the Vinaya, like you do. California is the largest State in the U.S. so it is somewhat expected to have high numbers of Buddhists. But I wonder what the percentage of Californians is that are Buddhist? I think Hawaii is something like 5% Buddhist, not sure if California would be higher than that? I just googled for some info for my questions above and found one source that placed the percent at 33% Buddhist for Hawaii. 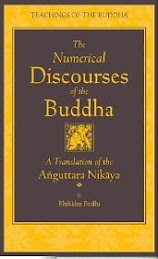 @David: In 1999, the Hawai‘i state data book estimated 110,000 Buddhists (or 9%) in Hawai‘i—which is plausibly an undercount, but probably not by much. People of Asian heritage comprise almost half of Hawai‘i, versus over 12% of California. (In contrast, only 8% of Australians claim Asian heritage.) I’d love to know the source that claims as many as 33% of Hawai‘i is Buddhist—that could only be wishful thinking. I don't think there could be more than a million Buddhists in California (i.e. <3%). @John: Hmm, who are the "Beat" generation, haven't heard of this coined term. It's even better if the Californian Buddhists are converts! @Celestial,the "Beat" generation was typified by ex WW2 US Pacific veterans who probably were exposed to, especially Zen Buddhism when they were part of the occupying forces in Japan. They returned to the US with first hand experience of Japanese Buddhism. Jack Kerouac and few of his friends and were just such people trying to make sense of things after WW2 by applying a fairly amoral understanding of Buddhism to their rootless lives. "on the road" is probably his most famous book. Kerouac, and musicians such as Charlie Parker, John Coltrane, Miles Davis were all'Patron Saints' of the beat era. The name "Beatnick" was given to those who were fans of the Icons of The Beat era(early 50's to early 60's). In some ways they were the underground cultural pioneers of the soon to be popularised Hippy and counterculture movements of the mid to late 1960's. @Tazzie, thanks for the clear exposition. Pioneers of the Hippy generation should be intriguing :)To think that the Hippies could actually be remotely related to American Buddhism. Welcome Pant/Bhante. 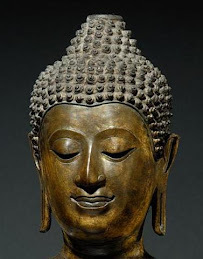 If you have time I want you to look at my post about buddhism in India. But I agree, the actual percent is probably more like 9%.
" Problem is I don’t have any to ‘handle’"
2 ways to see it, take it literally or recognise it as being lighthearted.